In my almost sixty-five years as a member of this community I cannot think of another couple who have moved here and made as much of a difference as George and Beth Thornton. We all should be grateful for their vision, energy, and contributions to this community. I have had three opportunities to appreciate their efforts this summer. Currently I serve as chairman of the Edgefield County library board. As a part of the summer program to encourage young people to read, we offer rewards for those who complete fourteen books. Again this summer, as she has in previous summers, Mrs. Thornton graciously agreed to give each completer an ice cream cone from The General Store as one of the rewards. We had 125 children in the program this year. Thank you, Mrs. Thornton. My grandchildren have spent time this summer at The Clay Studio taking classes and they have loved the experience of having small classes, excellent instruction, and outstanding facilities. This facility is a great asset to our community. We recently hosted our nephews from California–ages 14 and 11–who had never held a gun. They spent time at the Palmetto Shooting Complex receiving some excellent instruction on shooting. Young people who have done the camps have also reported quality experiences. It is wonderful that our small town has such a fantastic facility and opportunities for people to receive instruction on gun use and safety. Thank you to the Thorntons for moving to this community, seeing possibilities, and acting on your vision. 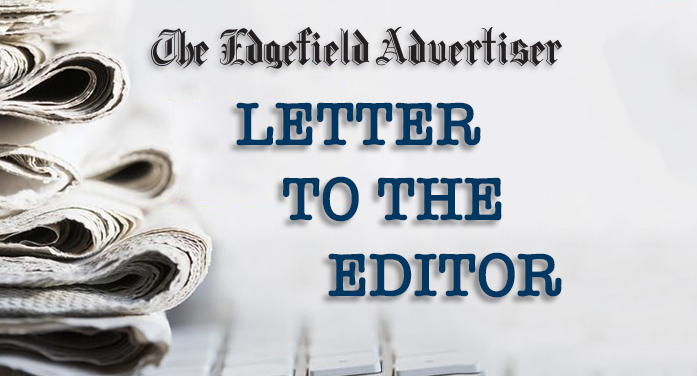 This letter is to commend and give a public thank-you to the Edgefield County Hospital Emergency Room staff. In the wee hours of the morning on July 20, my wife, Ann, had a fall at home that resulted in a badly broken arm and a severe laceration on her forehead. When we got to the ER a short time later she received immediate and compassionate care. The efficiency and professionalism of Dr. Robert Kellett and other staff members on duty were exemplary. They bandaged her arm, closed the forehead laceration and completed all the necessary x-rays and scans in a well-coordinated and timely manner. Dr. Kellett forwarded all the pertinent information to the doctor on call for Augusta Orthopedic for follow-up with her later in the morning to arrange appointments. Ann eventually had surgery at the Medical College of Georgia Hospital by an orthopedic trauma specialist. The surgery, which included a metal plate in her arm to stabilize the break, went well. She is now in the recovery phase at home. Thanks again to the ECH ER staff for their excellent and caring service.